For over forty years, Four Seasons has been a leader in the field of home remodeling and throughout this time, we have held ourselves to an ideal of offering the very best products, at prices that make sense. 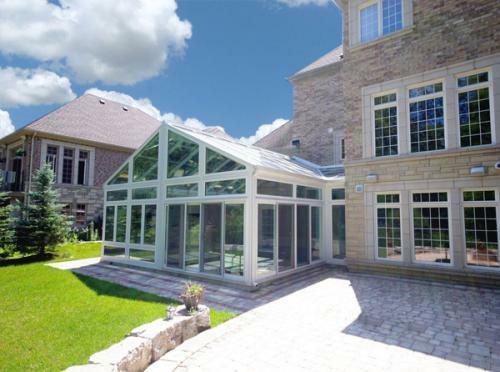 In an industry that seldom innovates a Four Seasons Addition Solution sets itself apart from the crowd: Sleek, clean lines; thermally-enhanced performance and a combination of high-end, raw materials all working together to craft the perfect solution. Seamless integration with your home's style means that you can add square footage and value without ever having to consider the expense of conventional construction. With an addition solution from Four Seasons, Speed. Quality. Price, Pick any THREE. The Addition 365 by Four Seasons has some distinct advantages. Your home is the cornerstone of your life. It's your place to rest and relax, spend time with the people you love, build your future and celebrate your successes. It's very likely the largest single investment you've ever made. So when it's time to add light and space to your home, to improve its value and efficiency or to enhance your family's life, only choose the best. Combining the very best of European building excellence with a generous helping of Italian inspiration, The Hampton Room is, quite simply, a revelation. More than just a room with a glass roof, the Hampton Room is a unique building concept that exceeds expectations and totally redefines the room addition. 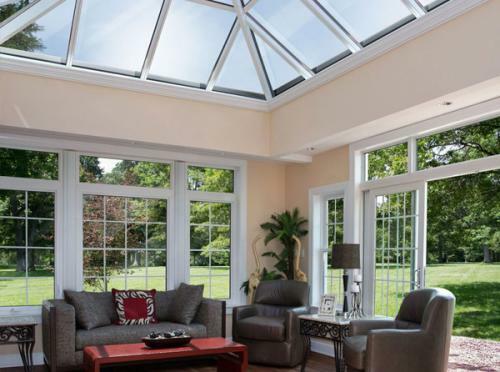 The idea that you can take the design concept behind a traditional room addition, marry it with the aesthetic appeal of a sunroom, and spectacularly reinvent it... At Four Seasons we're renowned for transforming light and space in all kinds of homes. And now, we're about to transform your lifestyle as never before. Impressively built with all the style and solidity of a typical room addition, The Hampton Room will add substantial value to your home, making it an excellent investment at a surprisingly affordable price.